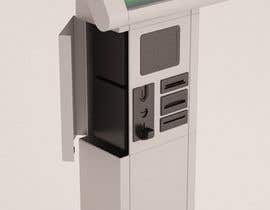 I am looking to design a new touch screen kiosk, this is a payment kiosk so needs to incorporate a note reader, coin reader (and collection area for coins), receipt printer, and Mifare/mag (vary s depending on client requirement) card reader. 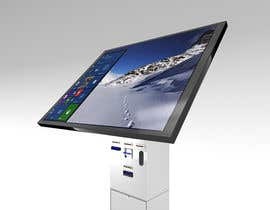 I am leaning towards a All in one (AIO) PC or POS PC as the touch and computer part of the Kiosk as servicability is very important. 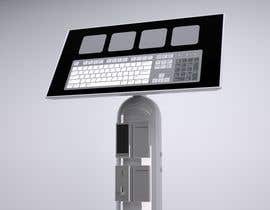 We have some clients in remote areas with very little technical support so it must be easy for them to un bolt the touch screen/PC and reift the replacement we send them. I am open for other suggestions though keeping this serviceability in mind. 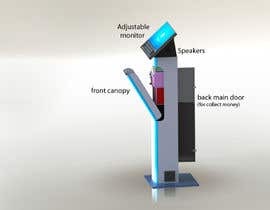 The Kiosk will be for indoor use only and in a common people traffic area so it needs locked doors/drawers but does not need to be a heavy duty secure unit. I think Aluminum or stainless would be a nice finish but again open for ideas. 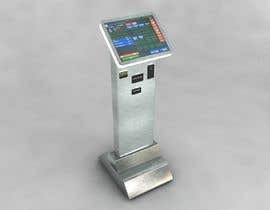 I have attached 3 images as follows "old Kiosk" our current Kiosk that is very old looking but shows the functions it used for, "hand sketch" a hand sketch showing the overall appearance I like, and "Mockup of POS fitted to Kiosk" which again is a very basic sketch , again I am open for suggestions . 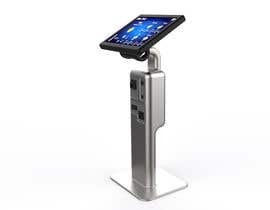 In my sketch I have shown an AIO PC or POS PC secured on top of a pedestal and the drawers below contain the note reader, coin reader, and receipt printer so the drawer can be opened to service these units. 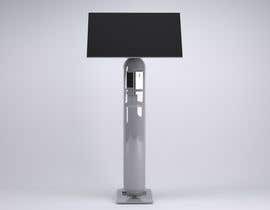 Ultimately I would need a full design drawing that a manufacturer can use to make the Kiosk, I will also need ot find a manufacturer for this once we have a design finalized. 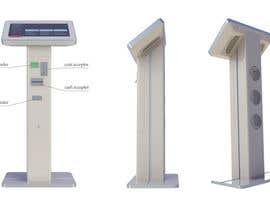 IMPORTANT: To all people who have submitted suggestions please look at the sketch I provided as I want the kiosk to look like this sketch! 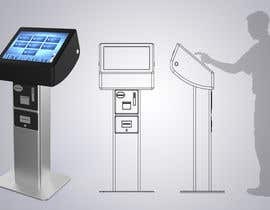 Also remember the Kiosk must have a note, coin readers and receipt printer incorporated int he design.